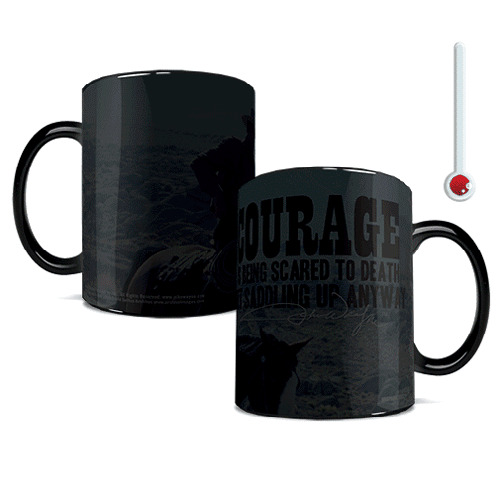 The true American legend, John Wayne aka The Duke appears upon this classic mug alongside his famous quote "Courage Is Being Scared To Death But Saddling Up Anyway." Watch as the exterior of this 11-ounce John Wayne Courage Morphing Mug magically transforms from black as hot liquid is added, revealing the hidden image in full vivid colors! Hand wash only. Not dishwasher safe. Do not microwave.